Keep track of your running, biking, weight training, body measurements, and fitness progress. Select from hundreds of exercises complete with photos and descriptions or add your own. Tracks records your free weights, cardio, and distance exercises. And you can choose to sync your workout data in the cloud. When you get a new phone, your data comes with you! 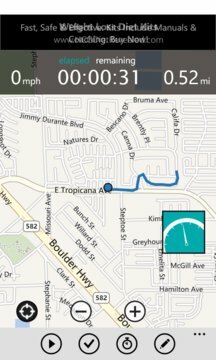 Use your device's GPS to save your running or biking routes. Mark checkpoints and Tracks will automatically record your splits! All exercises calculate your calorie burn in real time. Keep track of your body metrics and view charts showing your progress over time.